Washington’s bench combines for 45 as they beat Toronto, 105-96. What bench issues? Bojan Bogdanovic leads the Wizards with 27 points and the bench combines for 45 points as the Wizards beat the Raptors, 105-96. Four of the five Wizards’ starters scored in double-figures led by Bradley Beal with 23 points while John Wall notched yet another double-double with 12 points and 13 assists as the Wizards complete one of their best back-to-back stretches in recent memory. The Wizards showed no signs of tired legs as they connected on six of their first nine field goals to take an early 19-11 lead. Even though both Wall and Beal both started 3-3 respectively from the field, they couldn’t stop the Raptors from scoring. Toronto ended the quarter on a 15-5 run and for the first time in 16 games, the Wizards were not leading or tied after one period as they trailed 26-24. But then the often-criticized bench came in and lit the world on fire. Washington connected on their first nine shots of the second period en route to a 26-1 run all thanks to the bench. Bogdanovic was instant offense knocking down three three-pointers in the quarter while Jason Smith who looked to have fallen out of the rotation, came in and knocked down four field goals in the period. Mahinmi was rock solid on the defensive end with several blocks and big time rebounds as the Wizards blew the lead out to 23, 50-27 late in the second. However, Toronto showed a bit of life and was able to trim the lead to 16, 62-46 at halftime. Washington picked up where they left off starting the second half on a 7-0 run as Toronto missed their first nine field goals of the second half. The Wizards themselves started to cool off midway through the third period but Brooks inserted Bogdanovic to cure all that. Bogey hit his first three of the second half to stretch the lead back out to a comfortable 20 point cushion as the Wizards led by 22 entering the fourth quarter. Things got a tad too close for comfort as the Raptors were able to cut the lead to single digits late in the fourth quarter but John Wall reminded us why he’s one of a kind blocking Serge Ibaka at the top of the mountain. 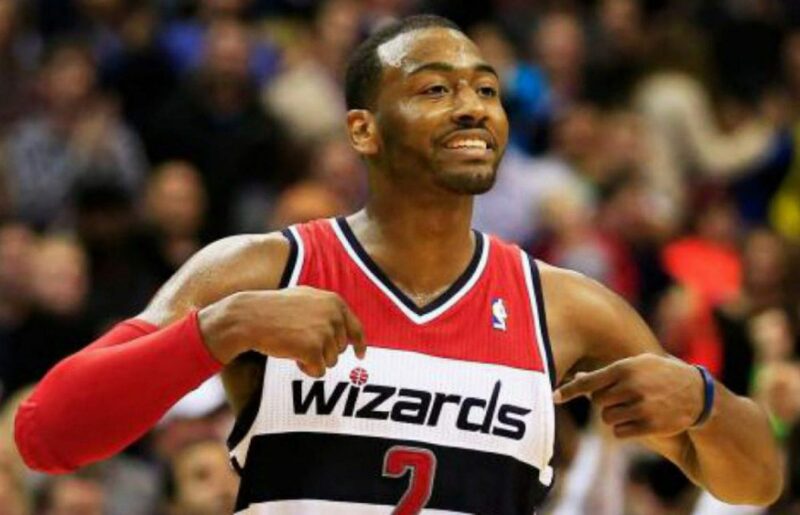 Wizards win in a very impressive fashion, 105-96. As mentioned, the bench combined for 45 points tonight in what was collectively their best effort of the season. Even though this was just Bogdanovic’s fourth game with the Wizards, the other guys around him contributed as well. Smith was a perfect 4-4 in the second quarter While Kelly Oubre Jr. scored seven points and played some nice defense on DeMar DeRozan. Ian Mahinmi continues to produce on the defensive end as he chipped in with five rebounds and three blocked shots. The Wizards continue to gain more firepower as Brandon Jennings signed with the team just prior to the game. It wouldn’t have been super surprising if the Wizards were to come out flat in this game after a toe-to-toe game against the Golden Warriors just 24 hours ago. But they showed up and took it to a team who they were previously tied with in the standings. Also, on a night when Otto Porter struggled, his teammates were there to cover for him as the ever so solid Morris and Gortat combined for 25 points and 16 rebounds. Next postRaptors vs. Wizards: DeRozan’s 32 too much to overcome, Wiz fall, 114-106.